Don’t wait for the right time to do good, make it a habit to visit or donate to organisations that are actively benefiting society, whether it’s an animal shelter, a home for single mothers, or an old folks home. Besides tangible items, most organisations need the help they can get to clean up or feed. With all the recent discussion on child marriages on social media, it’s natural that we’d include Soroptomist International, a global volunteer movement that aims to transform the lives of women and girls. SIROM is on the hunt for ladies who are interested in joining the NGO as a member, as well as volunteers for their projects. Projects depend on each individual club, as there are 15 in the country. Interested candidates can read more about what SIROM does here. 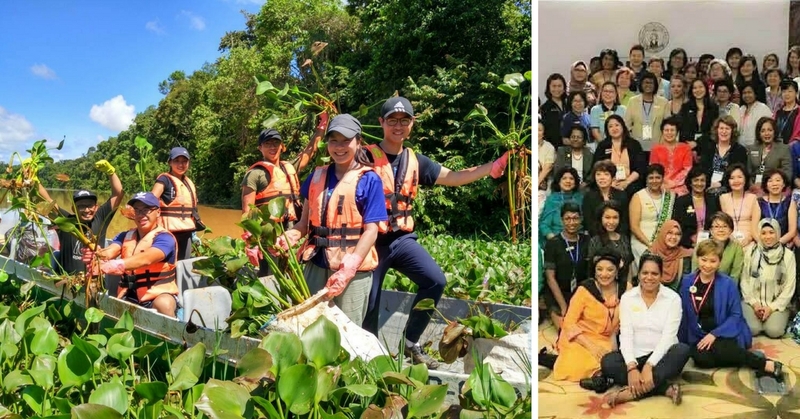 If you enjoy all things nature from animals to greenery, then we’d recommend you to also take part in volunteerism for APE, a place where everyday people like us take the extra step to develop a generation that strives for a better planet. APE is passionate about environmental conservation, animal welfare and people development. They also incorporate those into their daily lives as much as they can so if you resonate with those values, this is for you. Education is the main contributor and cause to a greater nation. To improve the condition of society, we must first eradicate illiteracy and give children the chance to learn and grow into competent citizens. At RTL, you are welcomed to volunteer, or be a financial sponsor/donor. Of course, volunteering would be the best help you can offer, as these underprivileged kids need teachers more than anything. The main objective of GCS is to help care for the less privileged through a wide range of programs that they offer – birthright, clinic for the poor, etc. On most Sundays, the organisation hosts a soup kitchen for the homeless in the city where most people from all walks of life come gather to lend a helping hand. Not just that, you can also donate pre-loved clothing and goods to the poor. They welcome any form of help especially in terms of distribution. Abandoned old folks who are left uncared for are seriously in need of help. Be a caretaker at Peramah Kasih by aiding them in medication, feeding, and so much more. The 24-hour home care needs physical assistance in helping those who are not only old but bedridden, so besides contributing tangible goods, your company is also highly appreciated. Bring along a group of friends and make yourself free on a weekend to help the old folks that need a friend.